Live Aquarium HD offers multi-monitor support which can lead to a truly immersive experience. You can view this screensaver in 3D using glasses and monitors. You will ne able to enjoy the detailed coral reef scenes in 3D. You can choose among 25 different fish species with complex swimming behaviors and appearance with which you can fully interact. Not only with the fish, you can as well interact with its surroundings. If you need more fish species, you have to make in-application purchase for that. In this scrensaver, you can view advanced graphic effects like fish iridescence, raytraced light. Four different soundscapes are available. You can download Live Aquarium HD from Ashampoo website from the following link. Its a 36 Mb installer digitally signed by the developer Ladislav Vojnic. Installation is smooth with the default creation of Desktop and Quick Launch icons. It requires 158.6 Mb of disk space. DirectX 9 capable GPU with hardware pixel shader v2.0, min.resolution 1024 x 768 with 256 MB graphics memory and 32-bit (True color) display. Live Aquarium HD costs 19.99 USD. For exclusive discounts on the software go to THIS LINK. 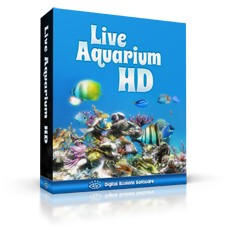 Angela Woisch from Ashampoo have arranged 20 licenses of Live Aquarium HD to giveaway for our readers. This giveaway will be expired in the midnight of 15th Feb, 2013. I will announce the winners at a later date. Winners will be chosen randomly from the contestants list. This entry was posted in Free Offers, Giveaway, Graphics Management and tagged Valentine Week Giveaways. Thanks Angela (Great name!!) and IIT Admin!!! Happy Valentine’s Day or equivalent to all!! I like Ashampoo Software.I’d like to try. This is a beautiful giveaway. Keep up the great job that you render to all. Hey Sujay bro, thanks for the giveaway !!! Nice Aquarium, count me in !!! Beautiful screensaver. Thanks for this giveaway. Thank you for this contest. I would like to take a part. Beautiful screensaver! Amazing screensaver! Thank you Angela for this giveaway! I will be very happy if I can win this screensaver! Thanks for this chance! What a good and great giveaway. I am eager to use it. Please count me in. In fact I avoid using screensavers but I really like that one! Thank you for the giveaway! I would like to try my luck. Now I can have fish aquarium at work too. This is really a cool screensaver, would like to have 1, count me in. I wish to win this One..
wow live aquarium, me want. Please include my name in this giveaway. Thanks for it. A beautifully designed soft, very life-like. Please count me in too …thanks Sujay.. Thank you Sujay!! please count me in, I had this program on an older computer previously. I loved it!! This is very good software for desktop enhancements..